Welcome to the Mission! You have chosen to make a connection with your community in a unique way. You have up to 2 years to complete the assignments below. When you are ready you will present your work to a panel of school leaders. Successful fulfillment of the project requirements below will result in you earning 1 semester worth of elective credit (1/2 of a graduation credit). This will be on your permanent record as you apply for colleges or enter the work force. 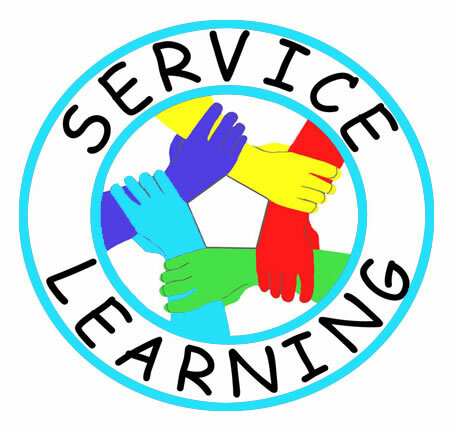 Service Learning is “reflective volunteering”. This means giving your time, energy and some thought to an individual or organization in a way that benefits both of you. For the student this means gaining skills, networking, building a resume, reflecting on experiences and hopefully earning credit toward graduation. For the organization/individual this means receiving quality services at no cost from a student that supports the organization’s mission for the common good. Students who are interested should fill out the Application for Service Learning I. This will require both parent and administrator approval and will set the start date for the project. 50 volunteer hours will be completed over less than a two year period (allowing time for the presentation to be done within the allotted time frame). Details are available in the office. Four reflections will be emailed to the Service Learning Coordinator every 10 hours. Throughout your 50 hours of service, you will collect data, experiences, photos and stories that you will compile into your final presentation. When you are close to completing your hours you will want to contact the Service Learning Coordinator to schedule your presentation before a panel of school leaders.